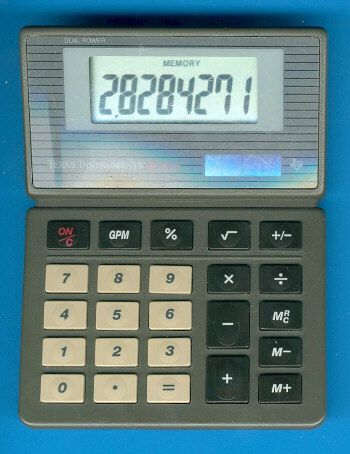 Size: 5.3" x 4.2" x 1.2"
Nevertheless the identification number TI-510 points to a handheld calculator, it could be called a "small desktop" machine. Outside of Europe an almost identical product was sold as TI-1798 - the nameplate of a desktop calculator. Dismantling the calculator doesn't reveal its genes. The internal construction is similiar with other far-east products of the early 90's like the TI-1795+. © Joerg Woerner, November 12, 2003. No reprints without written permission.